As part of the Aus FGC’s collective effort to raise awareness for the scene through BAM Path To EVO, we’re working together to produce live streams of monthly ranbats and majors. These are great things to support and now, we have another reason to get behind it. Prizes for subscribers every month! 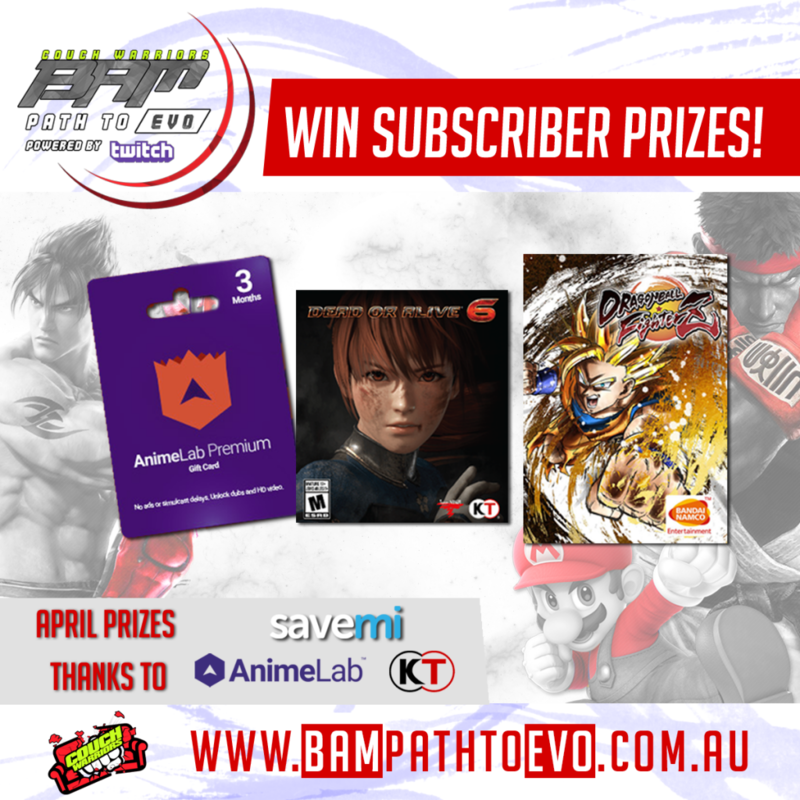 From digital codes from SAVEMI for video game giveaways with, Animelab subscriptions thanks to Madman, and more to be announced, just being a subscriber each month means you can win. We’ll also have specials and discounts from our supporters to share with the community for watching and subscribing! Remember, every subscription, and bits spend cheering in channels, helps send ANZ players to the world stage! 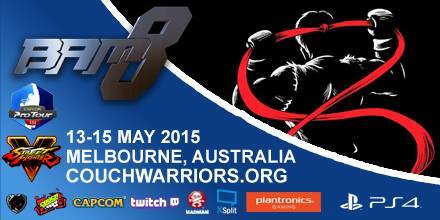 So please get behind our players and help us bring them to BAM, and then send them to EVO! Giveaways: It works like this. If you’re already subbed, you’re eligible! As we’re just announcing prizes, we’ll do a special subs drive giveaway week until April 19th and announce on the 20th. Then there will be a regular round up of prizes for the full month of April! So what are the prizes for being a subscriber? Special launch Prizes – Subscribe by April 19th. More to be announced + prizes for May onwards! Keep an eye on the Twitch chatbot and stream hosts for more of this in the future!